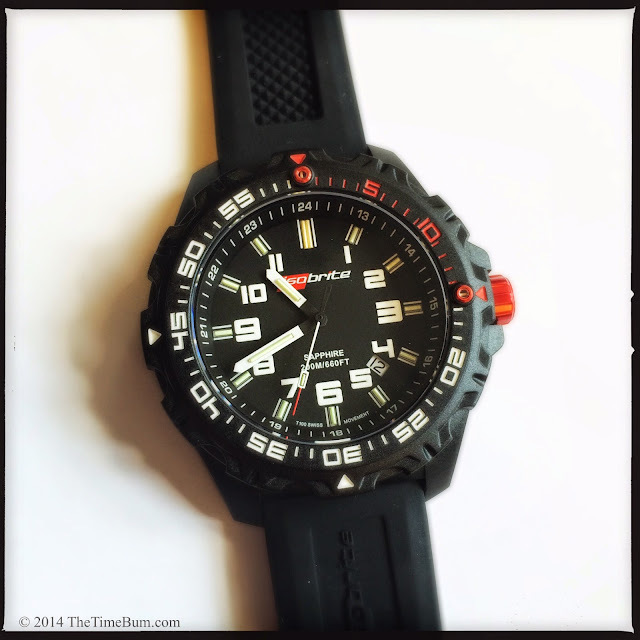 When ArmourLite contacted me to review their Isobrite ISO100 tactical watch, I was skeptical. 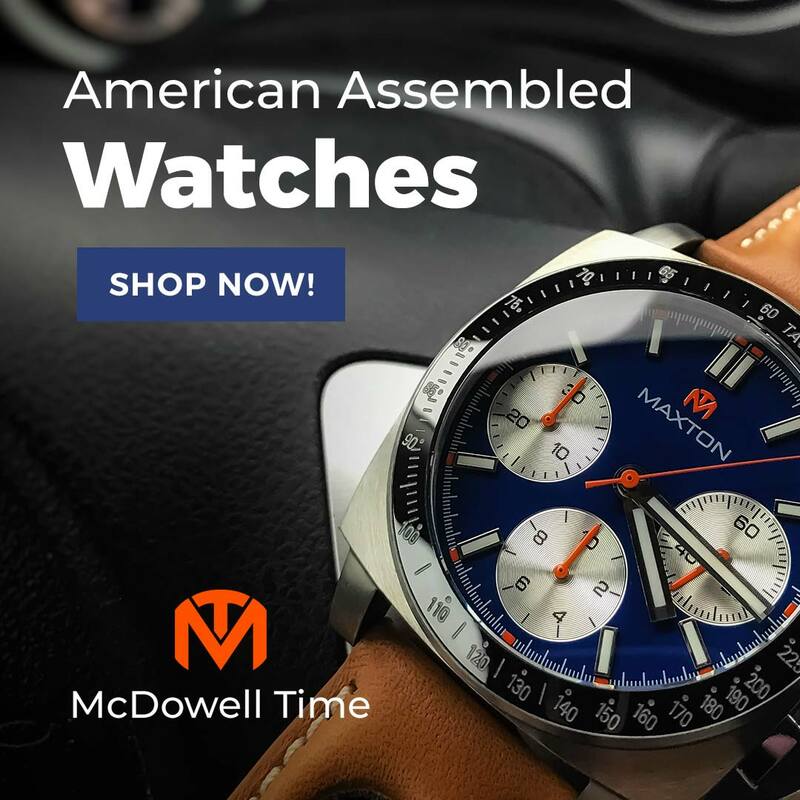 According to their site, their watches are "[d]esigned to meet the demanding needs of law enforcement officers, military personnel, first responders and extreme outdoorsmen." I am not like that. While I have great respect for police, soldiers and others who put themselves in harms way, I have absolutely no desire to do so myself. My relationship with the great outdoors is, at best, arms length. I consider weeding my yard to be extreme outdoor activity in the sense that it is extremely unpleasant. Now don't get me wrong, I love nature: I love looking at it from a comfortable distance, I love driving through it with the windows down, but to quote Calvin and Hobbes, the problem with nature is that "something is always stinging you or oozing mucus all over you." So what does a watch made for the running, shooting, doing-messy-stuff-outside crowd have to offer me? As I would discover, quite a bit. 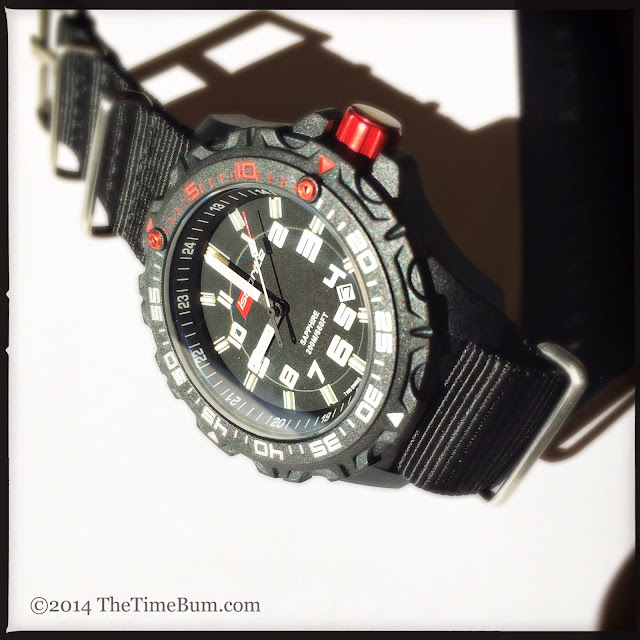 The Isobrite is unlike any other watch in my collection. For starters, its case is composed of black carbon fiber reinforced polycarbonate, a high grade thermoplastic polymer used in applications from the compact disc to the F-22 Raptor cockpit canopy. The material is extremely durable, but also very light weight. I was pleased to discover that it did not have a particularly "plasticky" look. The case had a matte appearance with a fine texture to it. All edges and details were clean and stood out in high relief. It feels like a quality material. I am quite sure it can be scratched and dented, and considering the watch's intended market and purpose, I'm sure it would be, but it would likely wear these marks better than black IP or PVD coated stainless steel, where such damage reveals the bright metal beneath. It is a big watch, measuring 47mm across (not including the 4mm crown) and is 12mm thick. In spite of this, it does not wear large. Short lugs give it an overall length of 52mm, so it fit easily on my 6.5" wrist. The bezel is also black polycarbonate, its aggressively channeled and scalloped shape disappearing against the case until the light catches it. It ratchets in one direction with a firm, but not overly stiff motion, and without any play. The first 15 minutes are marked in red, the remainder in white. 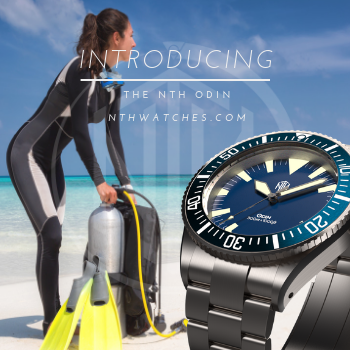 It has two tritium pips at 0 and 15, an uncommon twist on the standard divers bezel. The screw down crown is nestled between stubby crown guards at 3 o'clock. It is not signed, but it is very red. This is a great design choice that ties to the red on the bezel and in the Isobrite logo on the dial. It has wide grooves for easy grip, and it operates smoothly. This is a case that looks like it means business, and frankly, it does. 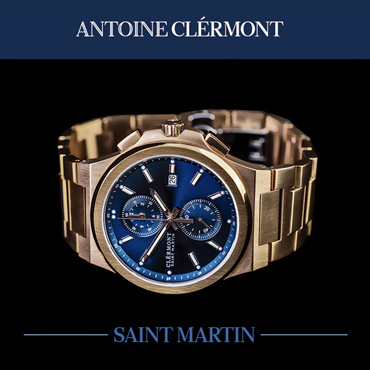 It is rated for 200 meters water resistance and has an anti-reflective, scratch resistant, sapphire crystal. The movement is a Swiss Ronda 715Li quartz with a 10-year lithium battery. Mechanical watch fans may gasp when they read this, but there are some things quartz movements just do better: they have greater shock resistance, are unaffected by magnetic fields, and are more accurate. If you are designing a watch for extreme conditions, quartz is the logical choice. The dial is set deep inside the case. It has a combination of fat, squared numerals, a 24 hour chapter ring, and pencil hands, all in white. It is high contrast and easy to read in daylight, but that is not the fun part. For that, you need to look closely at the tiny tritium tubes set into all three hands and the bar shaped hour markers, then turn out the lights. The tubes are filled with a phosphor layer and tritium gas. As the gas undergoes radioactive decay, it emits electrons that cause the phosphor to glow. Unlike luminous paint, the light is self-sustaining. Those of us who own watches with SuperLuminova, LumiBrite, or other photo luminescent pigments expect our lume in three stages: charging with exposure to light, an initially bright glow, then sustained visibility until the inevitable fade as the energy is discharged. The best luminous paints will remain legible for hours. 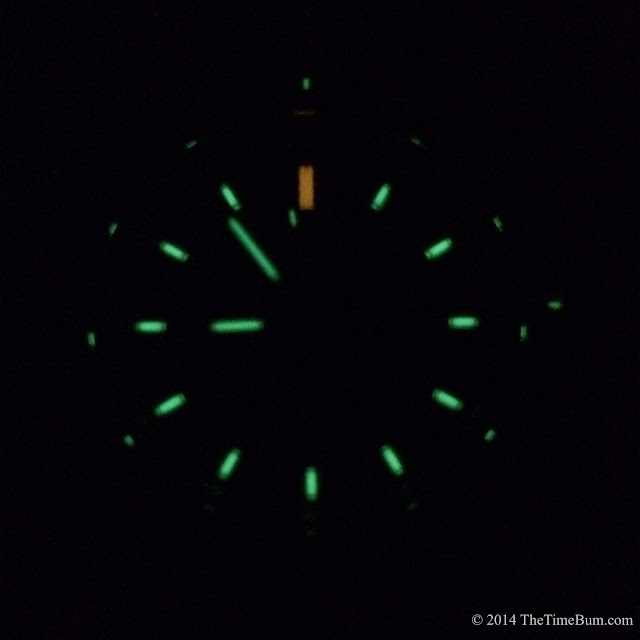 Tritium tubes glow for years. You lose the initial burst of brightness you get with the best pigments, but you gain a steady, useful glow that fades over the course of decades, not hours. It is an amazing technology, and crucial for anyone who uses their watch for prolonged periods in darkness. On the wrist, the watch feels virtually weightless. 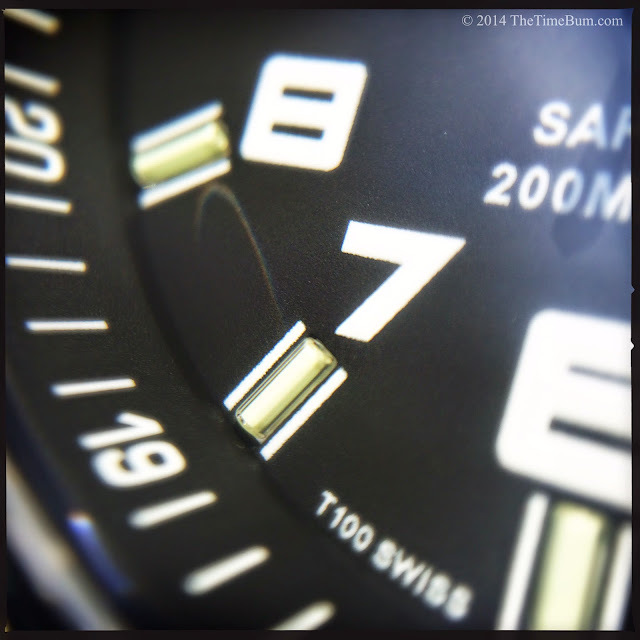 If you are accustomed to wearing dive watches, you may think the Isobrite has vanished. I was impressed with the comfort of the silicone strap. It is pliable, and a perfect companion for the rugged case. 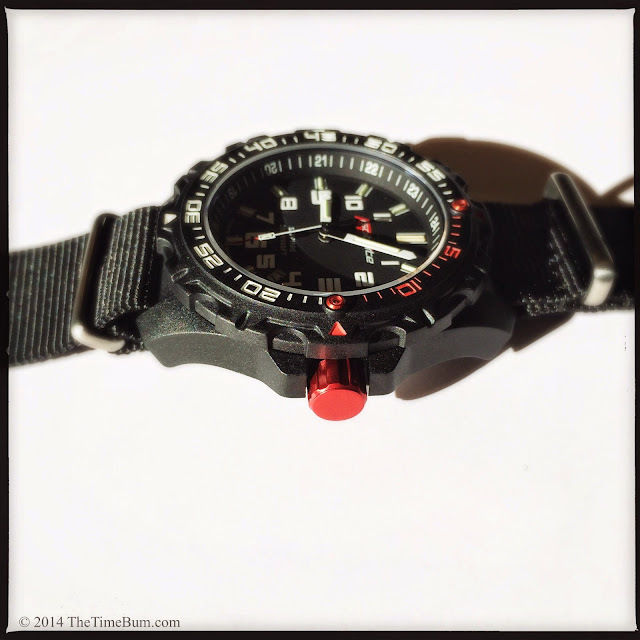 The Isobrite also includes a black nylon NATO but swapping straps is not easy. Short lugs mean little clearance between case and bar. It was impossible to pull the NATO through the gap, and once I removed the 22mm spring bars, it took a firm hand to replace them as they squeezed the strap into submission. It is great to have the option, but you really need to choose your favorite strap up front, because you will not be switching them off on a whim. I would go for the soft silicone strap. Both straps come with matte finish stainless steel hardware. Their signed buckles looked good, but I found it odd that the hardware was not black to match the case. A black PVD coating - or maybe red to match the crown - would have made more sense. I recognize that this is one of my particular hang-ups. I'd swap a black buckle in a heartbeat, but I am also bit of a nut. The Isobrite came packed in a padded, zippered travel case with room for two watches. The case is a nice touch and far more practical than a dust-catching display box. If you are traveling with your Isobrite, you might want to use that other compartment for something dressier. This watch will go anywhere and do anything - until the time comes to take a shower and put on some nice clothes for dinner. It is a big, burly tool. Think of it as combat boots for your wrist. Wear it with jeans and a tee shirt, wear it with battle dress, or go all buck wild and wear it with no shirt at all and a Bowie knife in your teeth, but don't try to pull it off with a tie. It is the wrong tool for that job. 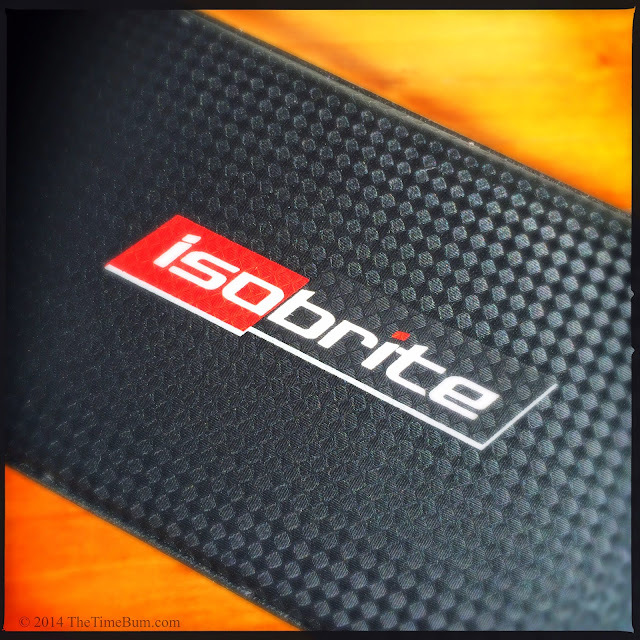 The Isobrite ISO100 has an MSRP of $499. It is an easy recommendation for an outdoorsman, but would The Time Bum wear one? 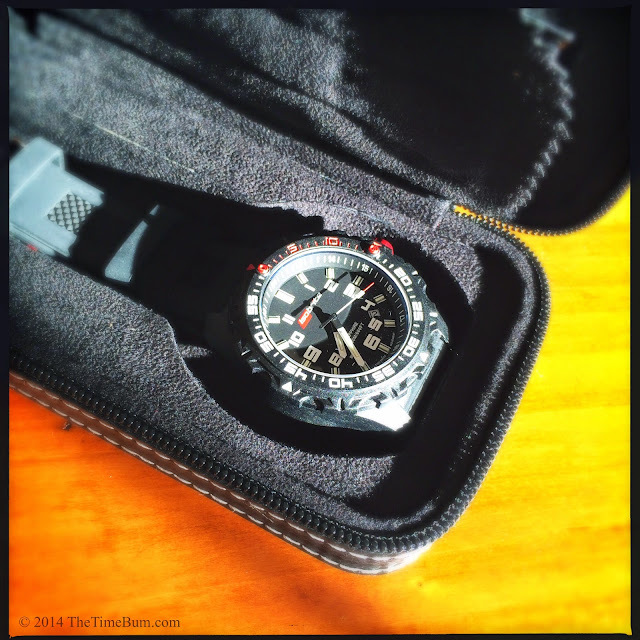 In my life, do I really need a tactical watch? Well... no. Then again, I don't need a watch rated for saturation diving either, or a mechanical chronograph, or a moon phase complication, but I have them because they are cool. I like the functions for their own sake and admire the engineering behind them. The tritium technology and composite construction of the Isobrite definitely qualifies, and has a genuine practical application, unlike some of those others. (Really, a moon phase? Only if you are a werewolf.) This watch looks great, wears easily, and would easily survive my ham-fisted weekend forays into home improvement, landscaping, and other messy tasks. 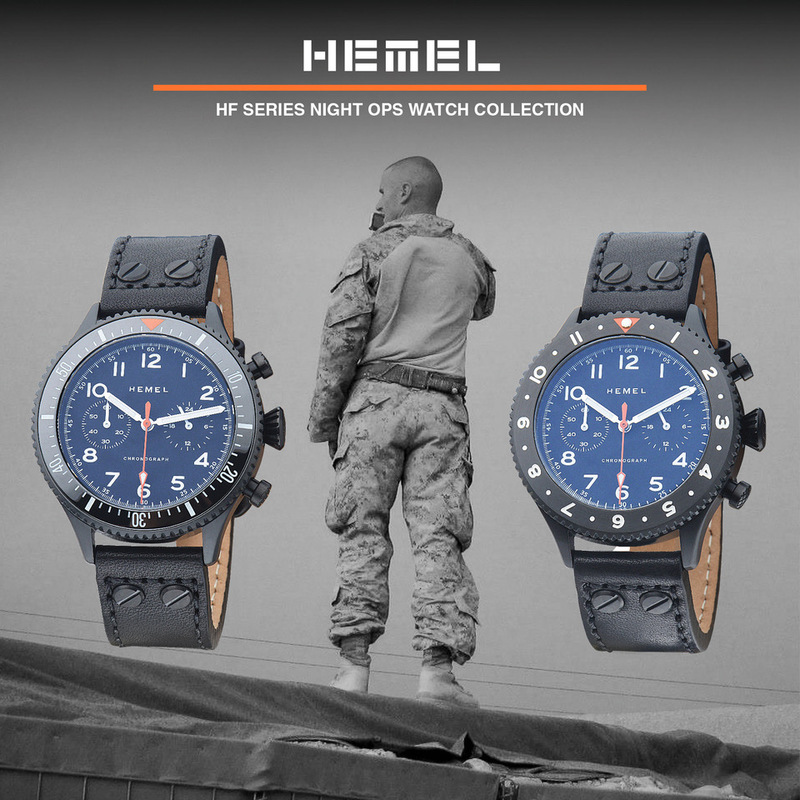 So maybe I don't need a tactical watch, but I would certainly use a tactical watch, and I totally want one. Pro: Tritium glow, sapphire crystal. Con: Straps are a tight fit. Hardware does not match case. Sum: Tough, light, bright, and very cool.